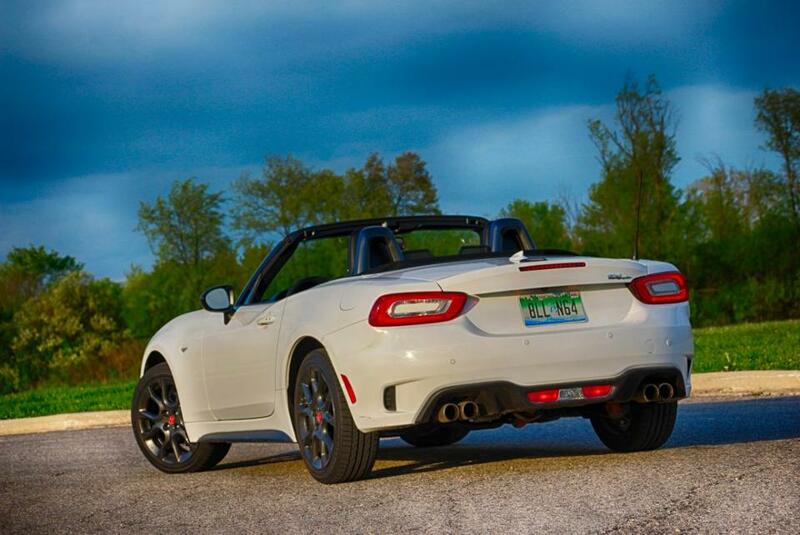 Thread: 2017 Fiat 124 Spider: Is This The Best Miata Ever? At the recent New York Auto Show, Fiat Chrysler unveiled the quickest and most powerful production car it has ever built, the 2018 Dodge Challenger Demon. This isn't the first time that Chrysler has used the Demon name -- it first appeared on a variant of the early-1970s Dart and then again on 2007 two-seat roadster concept. 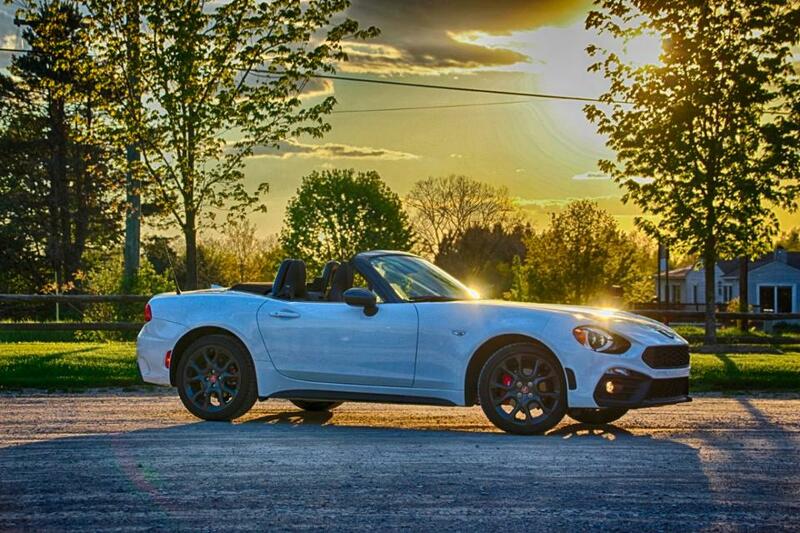 While the latter Demon never made it production, its spirit lives on in the form of the new Fiat 124 Spider, which in most respects is the anti-Demon as far as FCA performance models go. Over the span of two decades from the late-1980s through the global financial collapse of 2008, the designers at Chrysler headquarters in Auburn Hills, Mich., created a dizzying array of concept vehicles of all shapes and sizes. While the Dodge Viper and Plymouth Prowler made it to production, several other promising sports car concepts only got as far as the auto show stand. Among those were several Dodges, the 1997 Copperhead, 2002 Razor and the aforementioned 2007 Demon that each could have been challengers to the Mazda Miata. 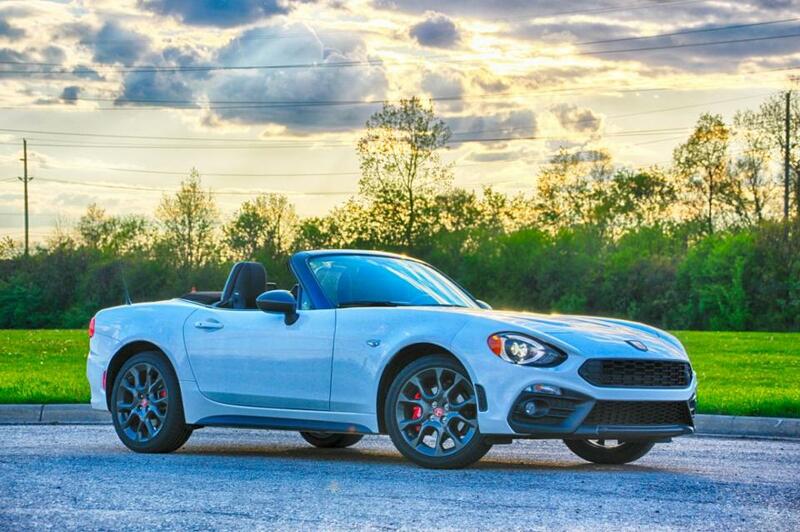 Ironically, in the post-bankruptcy world of FCA, it took the help of Mazda itself to make it a reality but we now finally have a roadster to take on the Japanese icon, the Fiat 124 Spider. The FCA/Mazda partnership was originally expected to spawn an Alfa Romeo Spider but the desire to build all Alfas in Italy put the kibosh on that plan. Instead, Mazda's Hiroshima factory is now turning out a roadster with an Italian powerplant and styling that sort of hints at the 124 Spiders that were produced from 1966 to 1982. While the headlights, grille and rear haunches of the new Spider hint at the earlier car, this is actually a pretty significantly different design from both its forebear and the Miata. Like the Mazda, the new Fiat has its cabin set well back on the chassis with most of the engine behind the front axle. The old Fiat had a more equal balance between the bodywork ahead of behind the car giving it more delicate proportions. Compared to the Mazda, the Fiat also has longer overhangs for an extra five-inches of length on the same 90.6-inch wheelbase. Despite sharing its soft-top, glass and windshield frame, the overall difference is surprisingly significant. 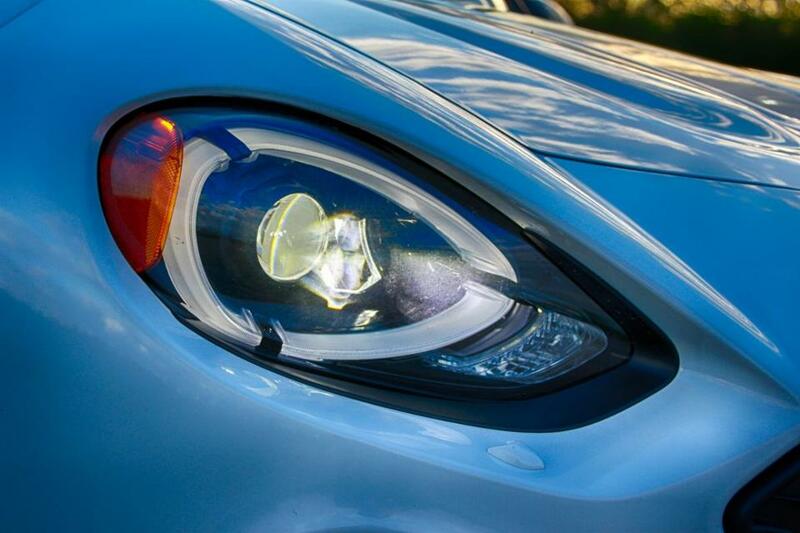 When I first saw the 124, I wasn't particularly taken by its new face, but it has grown on me over time, particularly the headlight treatment. Anyone that has checked out a contemporary Mazda will instantly feel right at home in the Spider. Aside from some revised upholstery, airbag cover and shift knob, this is completely stock 2017 Miata right down to the display on top of the dash along with the control and volume knobs on the center console. It's nice to see that Mazda and FCA have not compromised the essential nature of this as a driver's car by trying to force-fit cup-holders into the center console. You sit down low in this car and the console wraps around the gearbox and driveshaft running down the middle. The cup-holder looks like an afterthought tacked onto the right side of the tunnel. In most applications, I'm a fan of Mazda's control layout with a larger central knob similar to BMW's i-Drive and a neighboring smaller knob for volume control. However, with the aforementioned seating position, the volume can actually be a bit awkward to reach and twist. Fortunately the steering wheel controls make that a non-issue. Once you get past the Fiat boot-up splash screen on the infotainment system, the rest is completely stock Mazda. The design is OK, better than most, but I'd still rather have my Android Auto, especially since the voice recognition seemed a bit iffy on this car. Like the Mazda, the visors are surprisingly flimsy molded plastic pieces that aren't thick enough to hold a garage door opener. 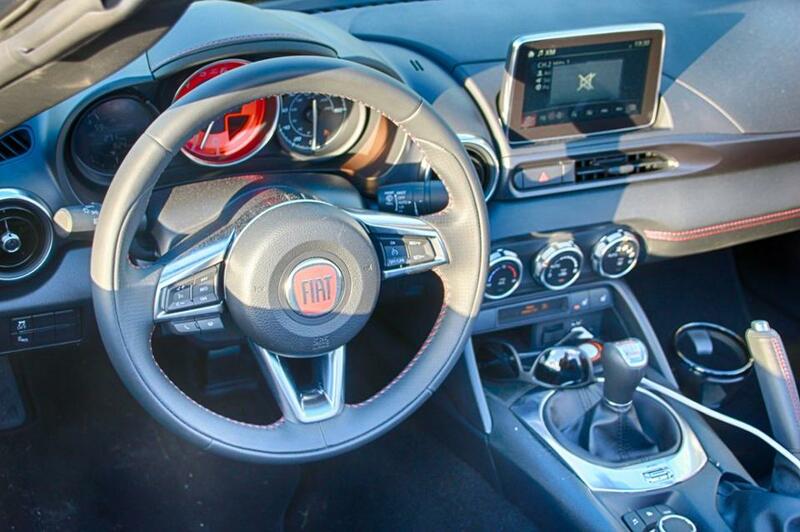 If you own either the Fiat or Mazda versions of this car, you'll want to program the homelink buttons and leave the remote at home.